For high output spray polyurethane foam and polyurea applications. 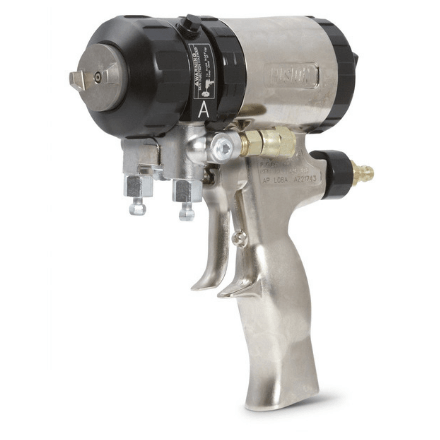 With long-life mix chamber and durable side seals, Fusion guns are designed to reduce maintenance and downtime, and provide a better mix. Includes AR5252 (02) mix chamber with a 0.052 orifice size. Wide round mixing chamber provides a 50% wider pattern.